We believe that only the strongest people can become the best players, and that the lessons learned in sports are invaluable in becoming an effective and efficient person. With that foundation, the Cumberland United Soccer Club aims to provide the most talented and committed players in Ottawa with the opportunity to fully develop their playing potential as people and players. We strive to develop future College, University, and professional level players with a humble, winning and growth mindset. Humility - With an air of gratitude, we strive to be humble in our victories and gracious in our losses. Growth Mindset - Bringing the best version of ourselves every day, but with a passion to improve and grow daily. Respect - shown across all facets of the club. Leadership - from the youngest of ages, and across all levels of the club, we celebrate leadership qualities both through voice and action. We hope to develop not just good players and people, but leaders in the community. Players are expected, above all, to show high levels of respect across all facets of their individual development, and to take responsibility for their development. Players are to respect one another, all the coaching staff, the facilities, equipment, programs and everything associated with their development. It is our belief that only solid individuals can become exceptional players, so we start with a base of work ethic, discipline, respect, and a generally positive, but focused, approach to sports, academics, and beyond. Essentially the programs, teams and club are an avenue to develop great, balanced individuals. From there, they will be expected to learn and train and play the beautiful game in accordance with our playing philosophy. 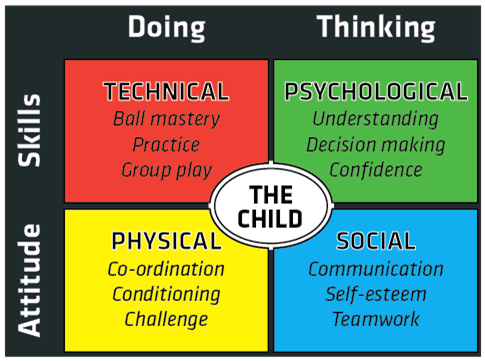 This philosophy is in line with the Ontario Soccer "4 corner approach" which emphasizes that players are to be developed as entire individuals. Like our players, our coaches are expected to hold each other accountable to always improve and to always strive to do better in their roles, as teachers of the game. Staff coaches will have a high level playing experience, and seek the highest possible level of coaching and teaching education available to them. Each coach must remain open minded to learning from the latest coaching/educational trends and strive to continually improve his/her craft of teaching, guiding and inspiring our young players. Above all, coaches keep the individual players' development in mind across all decisions. While each coach will inevitably have his/her own coaching style and tendencies, our coaches will work together often, and teams will regularly train with senior staff coaches, so that the methods used and skills/tactics taught, remain consistent across the Club. Parents want the best for their child. In a highly competitive society such as ours, there is a constant pressure to be the best in sports, school, and work. We at CUSC understand that pressure and want to help your child to strive to be competitive, but in a healthy and enjoyable way. We want humble warriors! Ask your child questions about how they felt they performed during the practice or the game. Encourage a conversation around what they did well and what they could improve on. Ask them to share what the coach said about their performance and what is expected of the team. Check with the coach, if the feedback is not clear to your child or to you. Provide positive feedback first, when sharing your views on your child’s performance. Base your feedback on your knowledge of the game. Soccer is a complicated sport and is based on rules and strategies that are quite different from other popular Canadian sports such as hockey. If your child is upset after a game or practice, encourage a discussion to understand the problem. Schedule time with the coach and your child, as soon as possible, in order to deal with the problem and not let it fester. Most importantly, your child should enjoy playing soccer and you should enjoy watching! How you can support CUSC Coaches? Trust the coaches. While in our care, we are responsible for your child’s health and well-being and we will make player decisions in their best interests. We will never do anything to put your child in harm’s way. Let the coaches make the decisions on the field. Soccer is a sport, but it is also our vocation. We work at developing our craft in the same way you do in your line of work. 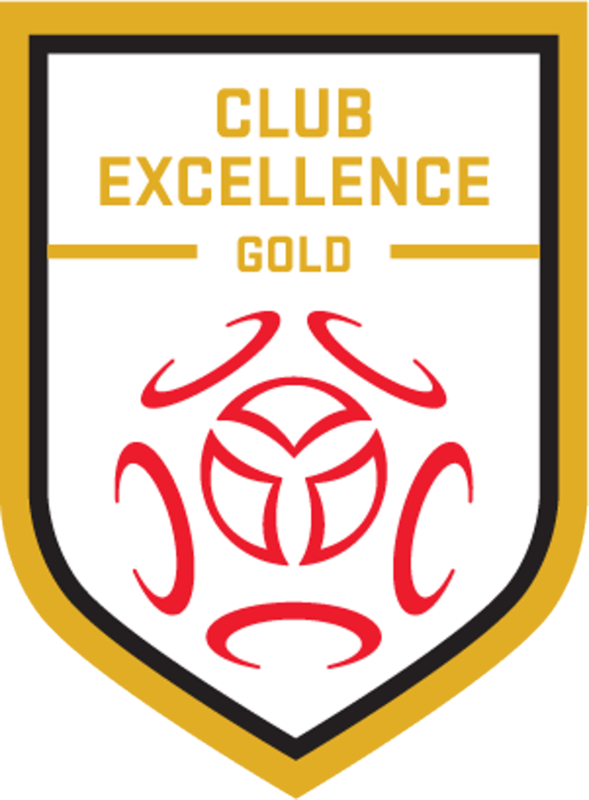 Our strategies, player selection, and game decisions are based on our years of experience with soccer and we encourage you to ask questions in order to understand what we are doing and why. Participate in meetings. This is the best way for you to connect with the coaches and other parents to get answers to your questions. CUSC meetings are held at the beginning of each season and team meetings are scheduled on an as-needed basis. These meetings are rich in information and provide the opportunity for creating a strong CUSC community where you can make important connections with other parents, exchange knowledge, share stories and even coordinate schedules. © Cumberland United Soccer Club. All rights reserved.